The Client Acquisition Funnel could possibly be the only funnel you'll ever need. Download this funnel map & tool kit... and get started today! What is 'The Client Acquisition Funnel Map'? This is a battle-tested sales funnel to help you quickly map out all the stages you need to attract prospects and only get the qualified prospects on to your sales calendar. Build & deploy this funnel and gone are the days of no shows, tyre-kickers and wasted time. Say hello to increased sales call ROI! This is the same toolkit I use to get qualified prospects on to my appointments calendar. You'll get my tried & true blueprint for acquiring a consistent lead flow of high quality, sales-ready prospects each month that you can build into your own business, starting today. After opting in you will have the opportunity to book a quick call with me, to go through the funnel map and get clear actionable steps you can start implementing into your own business immediately. What's Inside 'The Client Acquisition Funnel Map'? Included is a list of all marketing toolkit I use to build, scale and monetise my own (and clients) sales funnels - they work! 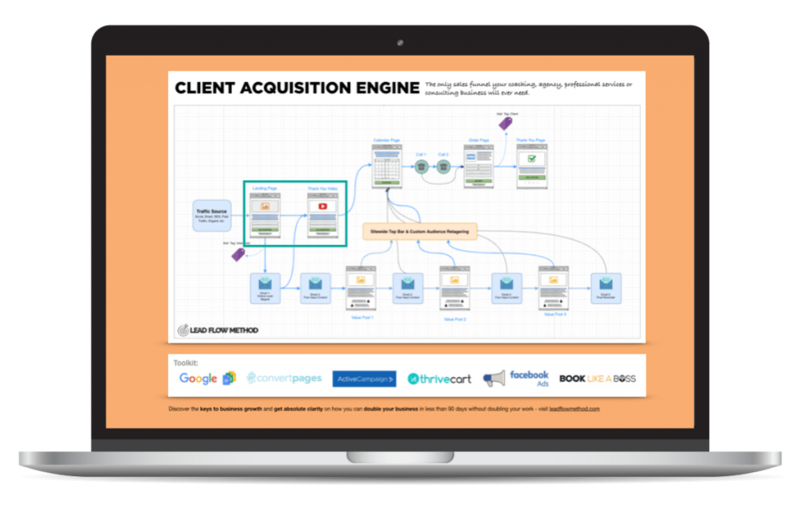 Request 'The Client Acquisition Funnel Map' Today! This Stuff Works... See What My Clients Have To Say! For the past year, I've been working with Steve to develop the perfect solution to increase sales for our online business. I'm convinced that any who has the opportunity to work with Steve will learn improve his or her business on several fronts. Steve is a one-to one type of guy paying fine attention to each detail, providing helpful advice and solutions for your brand. Steve has been overseeing every aspect of our digital marketing for over 10 years now. Everything from developing our online brand, building community growth and engagement, sales & fundraising. Sales funnels & marketing automation are his secret tools of the trade.